Thoughts on TVB: Gigi Lai: Her Ups and Downs. I think Gigi deserves a post in my blog, since I'm a huge fan of hers AND because I find her very brave and strong, to have overcome so many different challenges that almost scarred her for life. Before her grandmother's death, she lived a huge mansion with all her relatives. She lived like a princess. But after that, she moved into a flat where the residents all had to share toilets because her father was not able to fight for the inheritance of the family. So his siblings took all the money, leaving him with almost nothing. 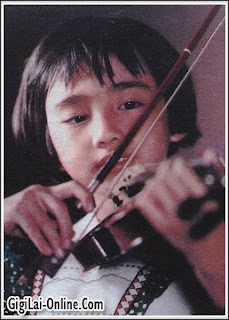 It was very difficult for her parents because her father was deaf and her mother was uneducated. So she had to earn money by entering the entertainment industry, and she was only 14. She joined the entertainment circle at the age of 14. How? Well, it was all thanks to HK music legend, Sam Hui. 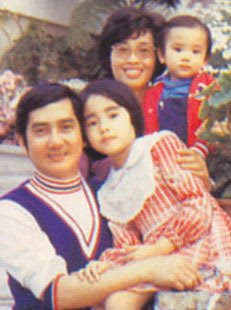 Since her family was very poor back when she was young, her father worked in a fitness club. She would usually go to the fitness club everyday after school. One day, Sam Hui was at the same fitness club and her father and him were friends because her father was very nice with everyone there. Sam notices Gigi and complimented her. He introduced her to his company. They were filming Happy Ghost II (Gigi's first movie) and she was just being one the classmates (a very minor role). In one scene, the director asked them to pretend to cry because the teacher is leaving the school. So the shooting started, and there was this particular person who was interrupting the scene with her loud crying. That person was Gigi. After that, a Caucasian cameraman told the crew that she had potential, and that's where her career started off. Ever since, she has filmed all kinds of movies, from gangster movies (Young and Dangerous I,II,III & IV) to horror movies (Haunted Mansion). Then she moved on to her singing career. She has won numerous awards for her singing and has released 7 albums in both Mandarin and Cantonese. Later on, she started acting in series and she caught the audience's attention most in 2004's War and Beauty. She won the 'Best Actress' award for 2004. There were many debates about this among the netizens as whether she deserved the award. Over the years, she has developed and maintained many good relationships with her fellow colleagues/friends. She was the matchmaker of Christine Ng and Carmen Choi's marriage. Since she was young, she always wanted to get married and start a family as soon as possible. Gigi would like a guy who is responsible and loving towards her. She does not care whether he is rich or poor. She only wants him to be faithful to him. 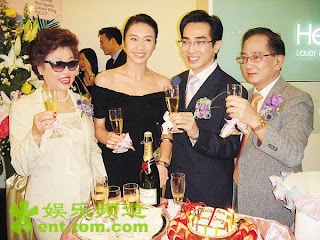 She has dated a lot of famous people such as Wong Yuk Long, Hui Jun Hung, the dentist Jung Siu Po, Choi Zi Ming, the owner of East Daily Ma Ting Keung etc. But all the relationships failed. Now she is still waiting for her Mr. Right. In their younger years, Gigi enjoyed pinching his cheeks and snatching his toys. After all these years, they still share a very close bond, and are the best of friends. Gigi paid for her brother's education to study dermatology in England. Now, he is a well-known dermatologist with his own clinic. He once asked her to retire from acting and let him take care of her (he is actually very rich). But in May last year, his dream of taking care of his sister, is all shattered, as he was involved in a serious car accident. 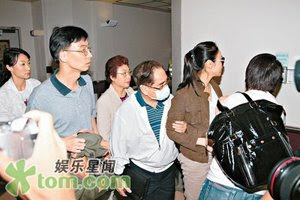 Last year in May, Lai Ying (Gigi's brother) was involved in a serious car accident. He was going home in a taxi when another car suddenly cut across their path. 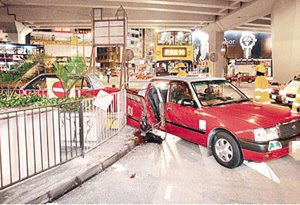 Unfortunately the two cars crashed and Lai Ying was flung out of the taxi. His head hit the pavement and blood was flowing non-stop from his head. It was reported earlier that her brother might become a 'vegetable'. In June last year, Gigi took a temporary break from filming The Gem of Life to take care of her brother in the hospital. He had done Fortunately, her brother's condition improved and now he is able to eat his own food. This year, she did not film any series (except The Gem of Life) because she wanted to take care of her brother's dermatology clinic. She has been learning a lot about marketing, accounting, skin care knowledge etc. Recently, she mentioned that she still needs to consider whether to leave the entertainment industry. But after that, she said that she missed filming and she will be back next year. I really cannot wait to watch Gigi's new series, The Gem of Life! me for just a minute your weblog is unique.